Last week Justin and I returned from a crazy nine day trip to Spain and Portugal. Nine days sounds pretty short for a trip to Europe you might be thinking. We thought the same thing, but when you get round trip tickets to Madrid for cheaper than you can fly to most places in the US, you just go. The crazy part was that we decided to visit Portugal as well. The desire to see as much as possible when we travel is like a painful disease. Seems like we always get home significantly more tired than when we left! Anyways, I'm so glad we decided to visit Portugal, because I absolutely fell in love with Lisbon, despite the fact that someone tried to sell us cocaine within 10 minutes of exiting the metro upon our arrival. As far as cities go, I liked Lisbon quite a lot more than either Madrid or Barcelona. With Spain being its more famous neighbor, Portugal doesn't end up on people's travel radars as often as it should. Here's six reasons you should add Lisbon to your travel list. We flew from Madrid to Lisbon and the moment we emerged from the metro I noticed a difference in the overall style of the city. Lisbon has so many colorful buildings and the most amazing tile work. There are a lot of red tile roofs and the fronts and insides of many buildings are covered with intricate painted ceramic tiles called azulejos. Azulejos were introduced to Portugal in the 15th century by the Moors who ruled parts of the Iberian Peninsula. Unlike other countries that use tile work solely for decoration, the Portuguese commonly used the tiles as a building material as well as to cover the large expanses of blank walls that were common in gothic buildings. Something else I really loved were all the mosaic sidewalks and squares. The paving of Lisbon's streets began in 1498 by the decree of Don Emmanuel I. The streets were paved in mosaic patterns with white and black limestone and basalt and add such a unique and beautiful flair to the city. Even the sidewalks without mosaics are paved with white cobblestones. I had heard that these stone pavers could be quite slippery when wet and it rained most of the time we were in Lisbon, so I was a bit worried about that because apparently slipping and falling with a newly replaced hip is to be avoided. I wore rubber gumboots the whole time thought and had no issues. Once called the "Ocean Capital of the Western World", Lisbon has an incredibly interesting and culturally diverse history with everything from immense riches to revolutions, coups, a dictatorship, and Europe's most devastating recorded earthquake. First settled 3000 years ago by the seafaring Phoenicians, Lisbon was called Alis Ubbo, which means Delightful Shore. Seems everyone wanted control of Lisbon's excellent harbor though, because next came the Greeks, then the Carthaginians, then the Romans, and finally the North African Moors who stayed in control for the next 400 years. In the 15th and 16th centuries Lisbon became an opulent trading center for gold, silk, jewels, and spices after Vasco de Gama discovered a sea route to India. 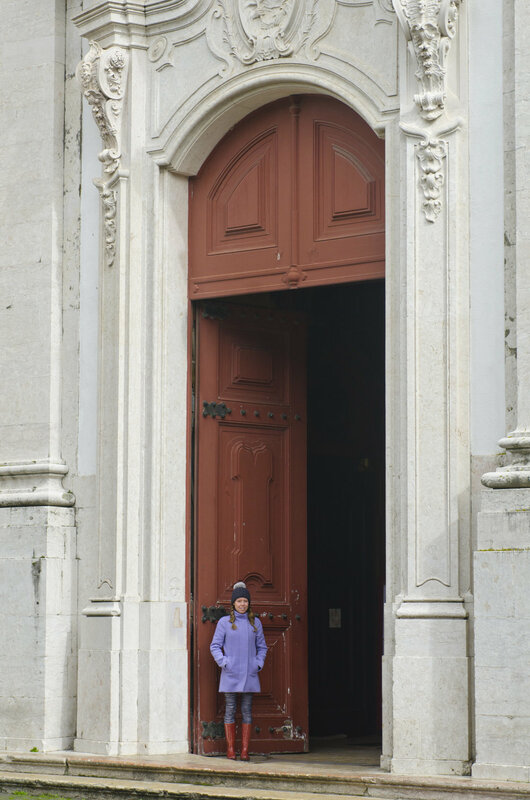 Unfortunately, in 1755 Lisbon was rocked by a horrific earthquake that led to devastating fires and a tsunami. The city lay in ruins and it's been estimated that as many as 90,000 of the 260,000 inhabitants were killed. 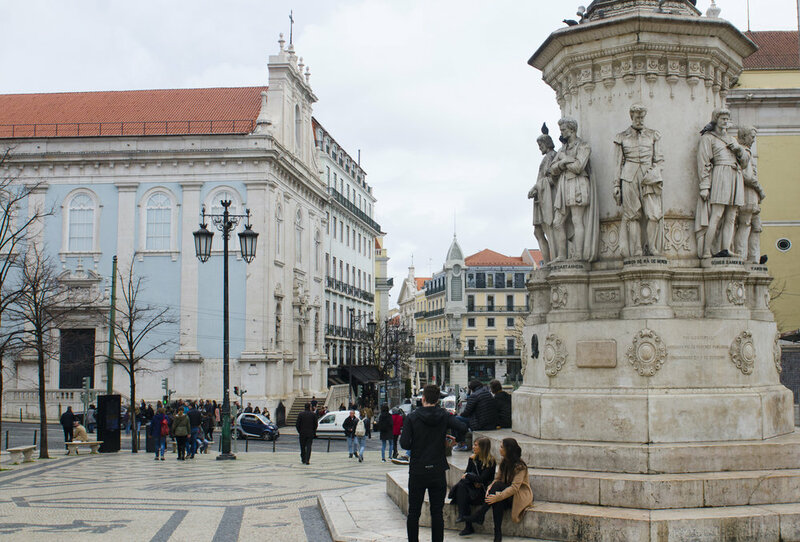 Never ones to stay down though, folks began rebuilding the city almost immediately, but Lisbon never quite regained its former glory, though it did come into prominence in the early 1800s when Napoleon's forces occupied the city for four years. 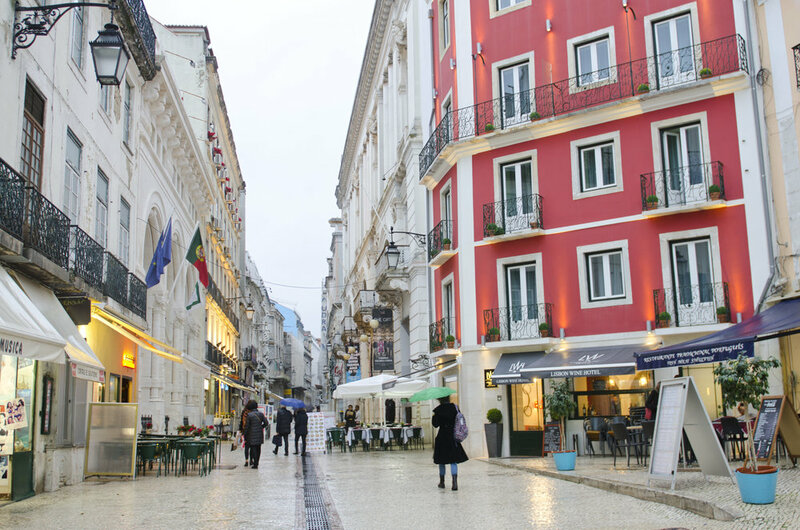 Although one can still see a variety of cultural influences in Lisbon from its rich history, can you imagine what it would be like if it hadn't been devastated by that earthquake? I don't have many personal experiences for this one since avoiding eating out is one of the main ways Justin and I save money when we travel to more expensive places. However, we kept hearing from other travelers how fabulous the food was, particularly the ultra fresh seafood and the iconic pastéis de nata - a palm-sized custard tart. The only time we ate out during our stay was when we picked up some Pakistani food from a hole-in-the-wall place, and it ended up being the best we've had to date. We also had some pretty darn good cakes and pastries provided by our hotel. Anyways, gastronomy is a big deal in Lisbon, making it the perfect place for foodies to explore. For more info, check out the Eater Guide to Lisbon and Portuguese food blogger Nelson Carvalheiro's Where to Eat Out in Lisbon. Sintra, a fascinating town designated a UNESCO World Heritage Site for being the first center of European Romantic architecture, is just 40 minutes away by train from Lisbon's Rossio Railway Station. As one of Portugal's prime attractions, being so close and accessible to Sintra is a major plus for visiting Lisbon. We made a day trip of it and it was well worth it. 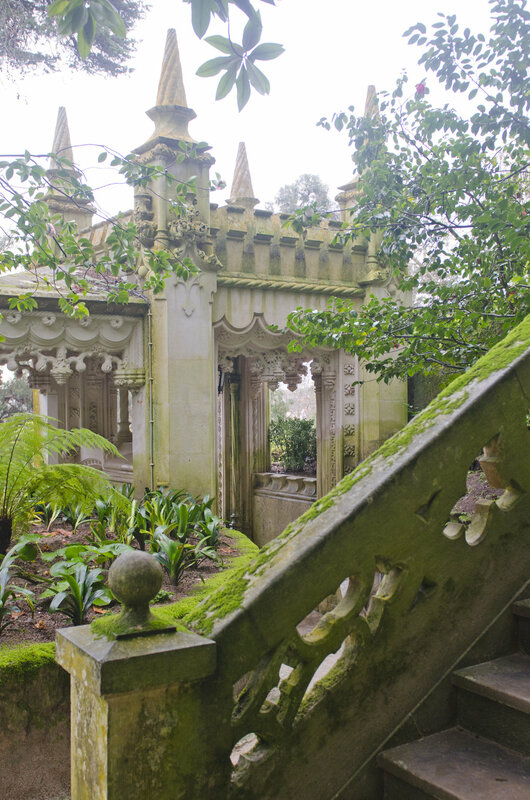 As a long time royal sanctuary, Sintra has so many palaces and villas it's impossible to see them all in one day. We walked from the train station to Quinta da Regaleira (about 15 minutes), a massive mansion surrounded by strange symbolic gardens and absolutely loved it, despite it not being one of Sintra's main attractions. 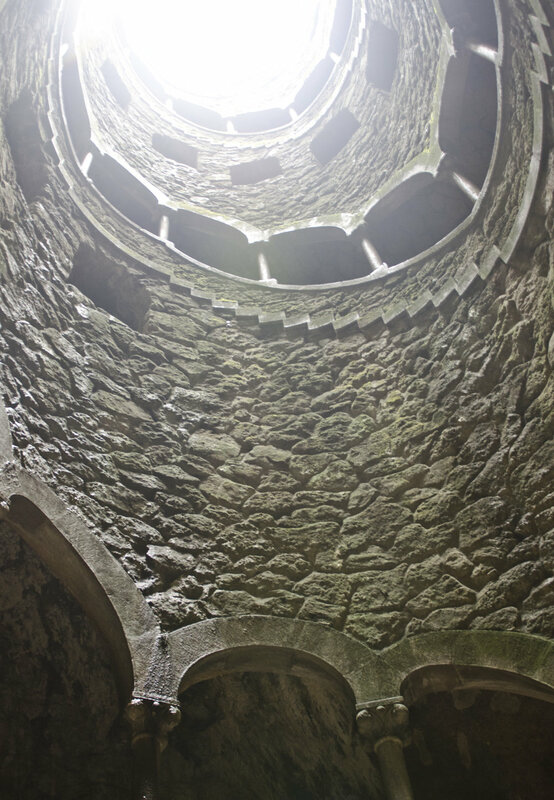 My favorite thing in the gardens was Initiation Well with its spiral staircase and network of tunnels. We spent the rest of our time wandering the town, which often feels like a park with its lush exotic foliage. Lisbon is famous for its sunny warm summers and short mild winters. We visited end of February into the beginning of March and it rained every day, but with temps averaging 50-65F (10-18C) and the rain staying pretty light and intermittent, it wasn't a big deal. Definitely one of the most temperate places to visit in Europe during winter. Lisbon frequently shows up "best budget European cities" lists and we did find public transport and fee based tourist attractions to be cheaper in Lisbon than Madrid and Barcelona. Lisbon was the one place on our trip we chose to stay at a hotel instead of a hostel, making for an unfair comparison, and as mentioned earlier, we barely ate out (never in Madrid, once in Lisbon, once in Barcelona) so can't make a comparison there either. However, a recent article by the Telegraph identified Lisbon as the 4th cheapest city break in Europe and the cheapest in Western Europe for 2016, a reputation it has maintained. Sounds pretty good to me.